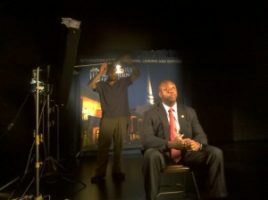 GTT Charleston DP Dave Baker teamed up with CSU once again to create another High Definition marketing video for Charleston Southern University featuring CSU Alumni Congressman Tim Scott. 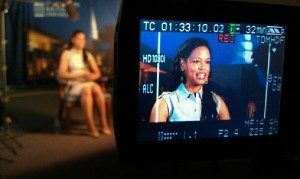 This shoot was a continuation of marketing videos consisting of various alumni and current students talking about the varying ways in which Charleston Southern University has changed careers and lives over the years. With the help of JP Binciunas and an HVX200 paired with a Nexto for media transfer, and along with the ubiquitous Kino-Flo Divas, and the standard GTT Arri light kit, the day went off without a hitch. Lighting was a cinch thanks to GTT standard Kino Flow Divas and Arri Lighting Kit, and media transfer was handled using a Nexto Drive. On to the next cool shoot!